COTY Awards | Knight Construction Design Inc.
Knight Construction Design earned two first-place/gold Minnesota CotY awards in the Entire House $250,000 to $500,000 category and the Kitchens Under $60,000 category last November. Then, in February, the whole-house project took first place in the Region 3 (North Central) 2015 CotY competition. With the regional win, the project automatically advanced to the national competition. National winners will be revealed at the NARI National Evening of Excellence in Fort Lauderdale, FL, on April 17. 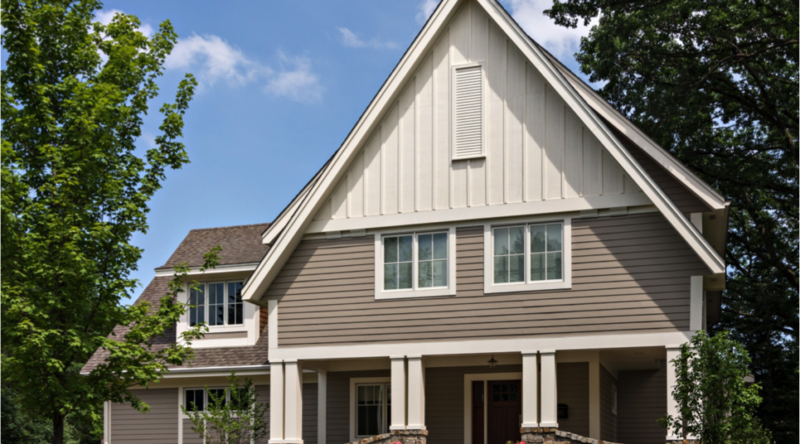 “While we focus on pleasing our clients, it’s gratifying to see our designs, craftsmanship and customer satisfaction recognized by top contractors, architects and designers, said Gary Knight. The Minnesota and Regional winner that’s up for national recognition is on Mirror Lake Drive in Edina. 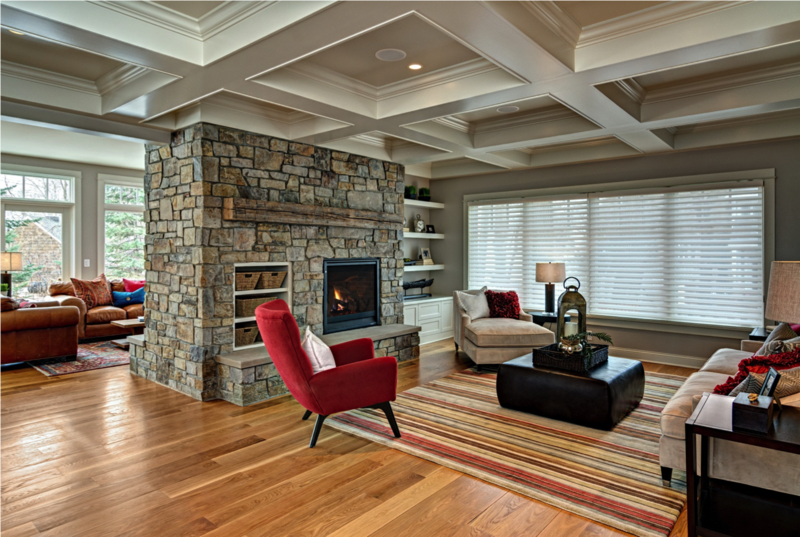 It features a 17x32-foot addition, dual-sided Montana stone fireplace, large Marvin windows and doors, expanded mudroom, and enhanced master suite and office. CotY judges wrote: Addition has seamless transition. Took cookie cutter home and made it unique. Great details. Open floor plan yet definition of individual spaces. Marriage between indoor and outdoor entertaining spaces. 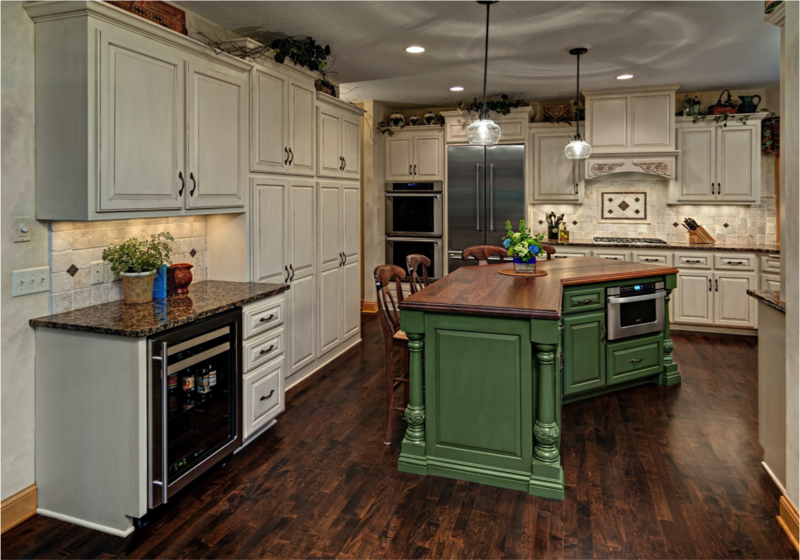 Knight built the award-winning kitchen at a Highover Court home in Chanhassen. Five out of seven judges gave it a perfect 60-point score. While well built with good materials, the home's existing honey maple cabinets, floor and woodwork looked dated and the design didn’t suit the homeowner’s cooking style. Knight refinished the cabinets with glazed enamel, rebuilt the kitchen hood, and gave the center island a furniture look with beautiful legs, decorative grapes and large base molding to appeal to Jenny's Tuscan tastes. They also modified the little used kitchen desk cabinet to accommodate a beverage fridge. Knight replaced the granite center island top with walnut plank and reused the stone at the beverage fridge and nearby powder room. With refinished floors, updated lighting and a new backsplash, the space went from drab to fab.